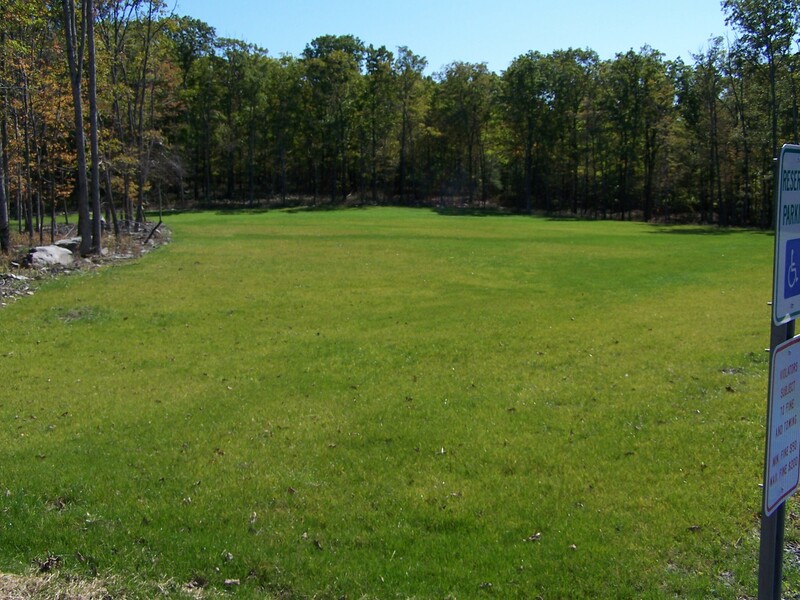 Despite one of the wettest summers in memory, progress continued on the the Dingman Township Park. The stormwater system and erosion controls worked well with only minor setbacks. To a certain degree, the rain was beneficial helping the grass to grow in what is often a difficult time of year. Here we see the baseball and softball fields. Both fields will be ready for action as soon as the grass develops a better root system. 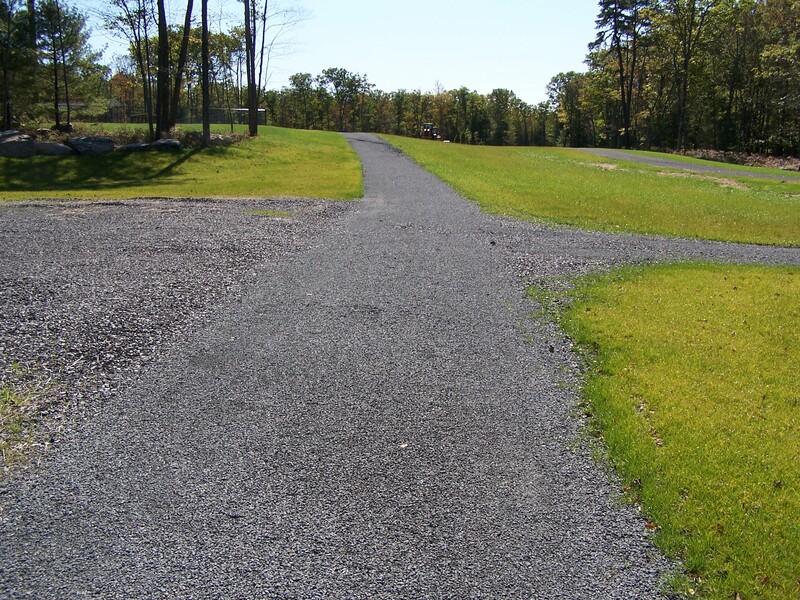 The hiking / jogging trail has been installed and the surface has stabilized. 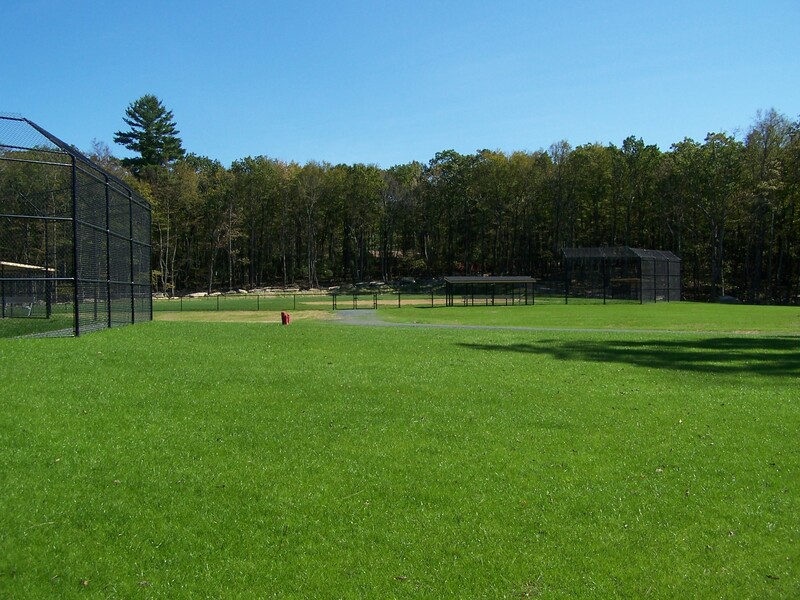 This picture shows the football field (rear, by tree line), the hiking / jogging trail (foreground to center), and a parking lot (center). 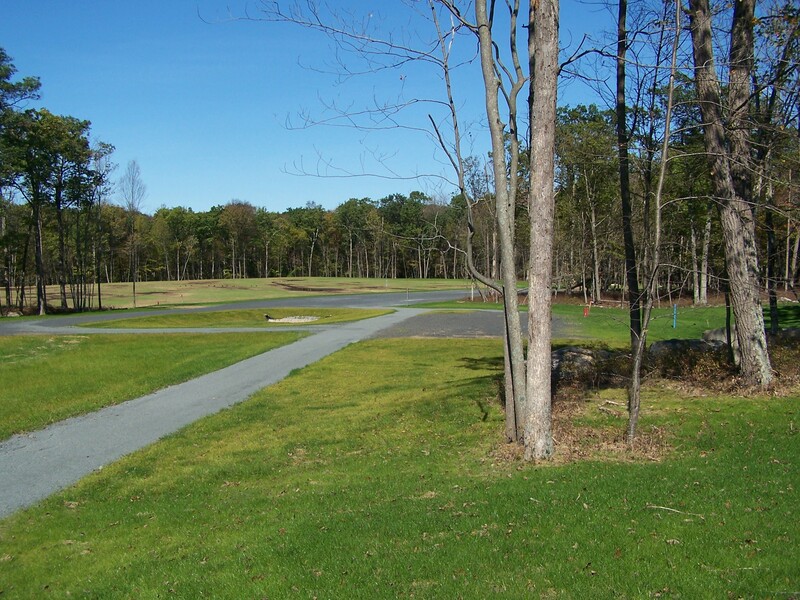 On the right hand side, the clearing between the trees is the site of the concession stand (not yet constructed). Finally, the open space playfield where kids can run around or play games that are not part of the organized sports experience. Amazing is the transformation of this area from a boulder-strewn forest to a beautiful glade.